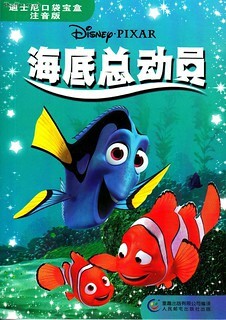 I remember when I first moved to China, I used animated films to practice Chinese quite a bit. 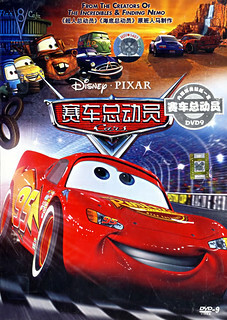 I quickly discovered that Disney did an especially good jobs with translating (my favorite was the Chinese version of The Emperor’s New Groove). 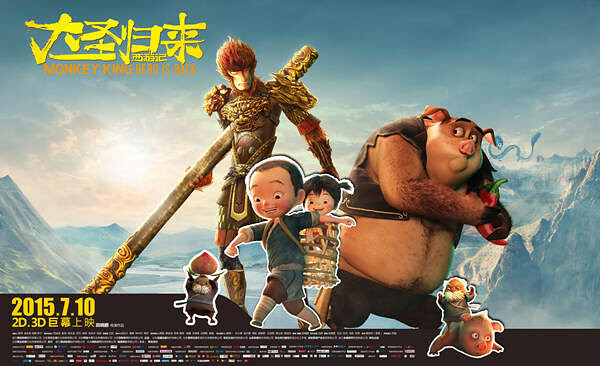 But I also started noticing something strange about a lot of these animated films’ Chinese titles… the word 总动员 appeared, somewhat inexplicably, way too often. What was going on? I asked a number of native speakers abut this phenomenon, and none of them had paid the issue much notice. One bit of helpful information they did give, however, was that the word 总动员, in mainland China, is tied in the minds of many to some popular variety shows that came out around the year 2000. Specifically, they were 欢乐总动员 (“Joyous Zongdongyuan“) and 全家总动员 (“Whole Family Zongdongyuan“). Both were loud, fun, programs with lots of active people. OK, obviously those aren’t the meanings they’re shooting for in the titles of cartoon movies. Native speakers seems to have trouble giving an exact definition of this use of 总动员, but the feeling is clear: exciting, happy, lively, 热闹, with lots of people. This is not a complete list; rather, it’s an attempt to try to capture some of the biggest titles and the range that “zongdongyuan” covers. OK, some of these seem to work OK… Specifically, Cars seems to deserve the treatment. 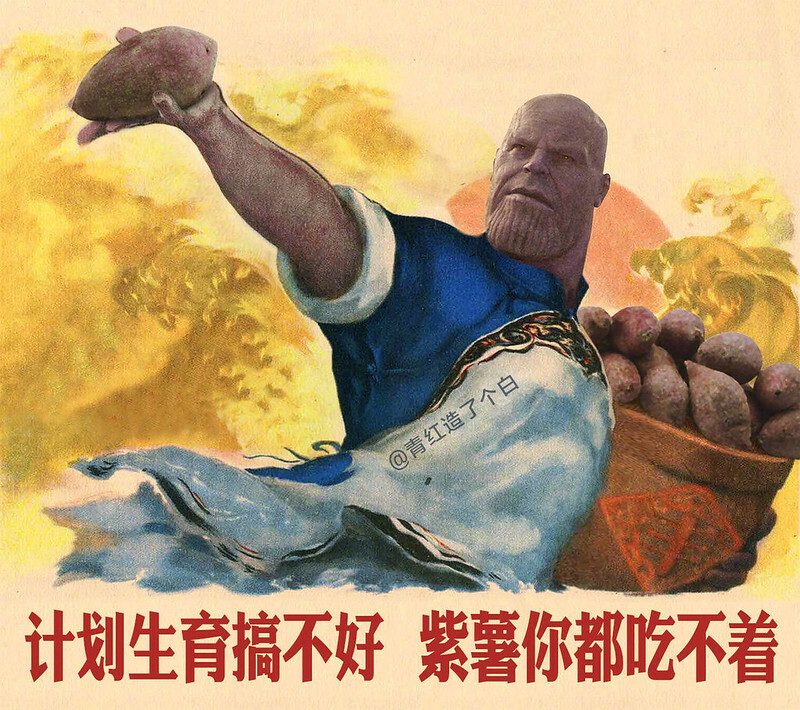 I can’t help but feel that “Gourmet Zongdongyuan” (Ratatouille) could have been a much better title, though, as could have “Robot Zongdongyuan” (WALL·E). 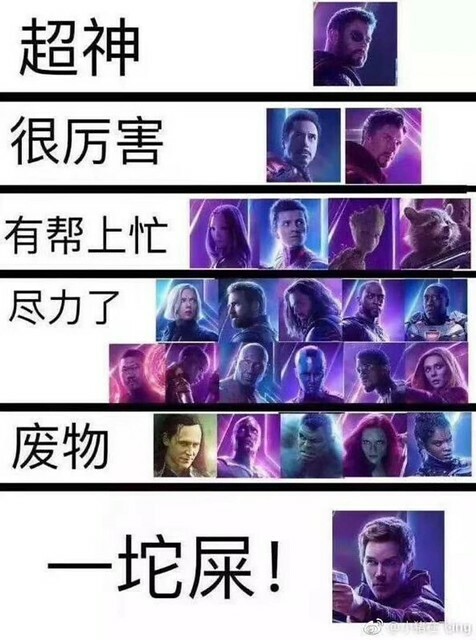 To be fair, most of these movies actually do have multiple titles, and a casual check seems to indicate that the translators over in Taiwan are putting a bit more thought into the translations of animated feature film titles. Still, I’ve been seeing these zongdongyuan translations for years, and it especially stands out for Disney films, which tend to have excellent translations for the actual movies themselves, despite the total cop-out titles. So did anyone else notice this lazy translation trend, or was it just me? I know some students of Chinese that spend a lot of time on Chinese news websites. I’m finding that Kaixin Wang‘s 转帖 (“repost”) system is way better, acting as a combination RSS reader / Digg / SNS site (so the content is filtered by your young Chinese friends). I highly recommend it as a source of interesting material. Apparently, though, some of the posts (like the one I refer to above) mysteriously disappear… so read quickly, and enjoy! Peace Cinema (和平影都) in Raffles City (People’s Square) is the place to see Avatar (阿凡达) in IMAX 3D in Shanghai, but it’s still hard to get tickets, days after the Sunday midnight opening. I went tonight, hoping to pick up a pair of tickets for sometime in the next week, but the theater only sells two days in advance, and all popular times were sold out. You can see the crowd in the picture below. The crowd never got too big, because everyone kept showing up, finding out it was sold out, and then leaving unhappily. 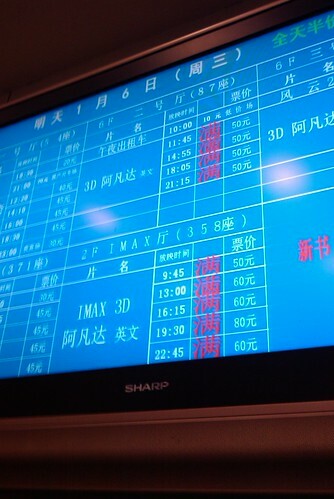 Tickets there range from 30 RMB (non-IMAX) to 50 RMB (IMAX, morning), to 150 RMB (IMAX, prime time on weekends). 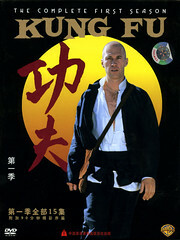 The soundtracks are all English, with Chinese subtitles. The theater’s (?) website has the price list for the current day. Avatar has been out on DVD in the streets of Shanghai for a while, but I’m still patiently waiting to experience IMAX 3D for the first time (eventually). 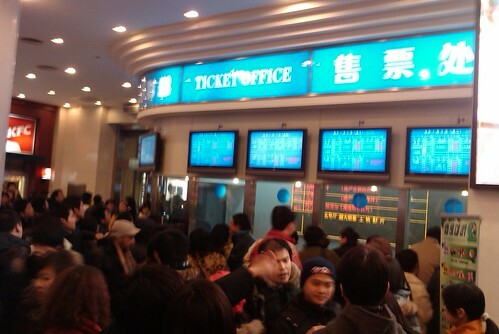 Jan. 7 UPDATE: A friend of my wife offered to buy tickets for us. She showed up at 7:30am to get in line. The theater opens at 9am. When she arrived, there were already 200-300 people in line, some of whom had been there since 4am. Still, with so many showings every day, and a pretty decent capacity, you’d think that person number 300 could still get tickets. No dice. Everyone was buying up lots of tickets, so the theater was sold out of Avatar 3D IMAX tickets by the time our friend’s turn came. These lyrics are a bit too non-sensical to warrant a translation into English, but they’re still pretty funny in Chinese. To give you a taste, the first line is “我是恐龙哟” [I’m a dinosaur, yo]. For reasons which will become clear soon, I was researching Godzilla recently. I was curious about the name. 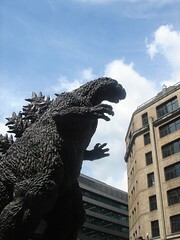 Godzilla seems like a great English name, but it’s a Japanese creation, and the Japanese name is ゴジラ (Gojira). 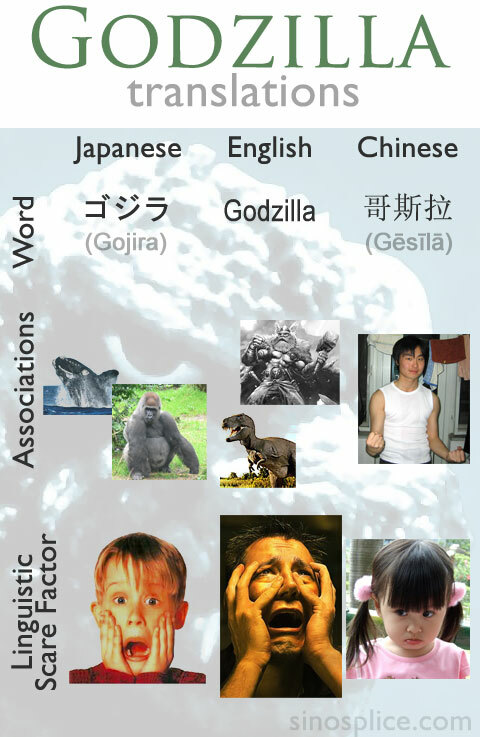 So I had to wonder… did the Japanese start with the English name “Godzilla” and transliterate into Japanese, or did they start with “Gojira” and semi-transliterate into the fantastic “Godzilla?” The use of katakana for the monster’s name to me suggests the former. According to Wikipedia, it’s the latter. The Japanese name is a blend of the Japanese words for “gorilla” (ゴリラ) and “whale” (くじら), referencing Godzilla’s enormous size and power. That “Gojira” transliterated so neatly into “Godzilla,” a name which conjures images of god-like power in lizard form, is largely coincidence. I don’t know how the Japanese feel about the name, but I can’t help but feel that the connotations of the English translation of the name are even better than the Japanese original. 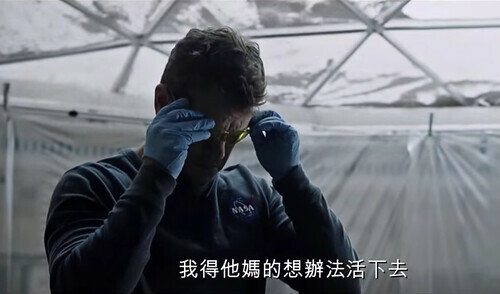 – You’re given an audio clip in Chinese. 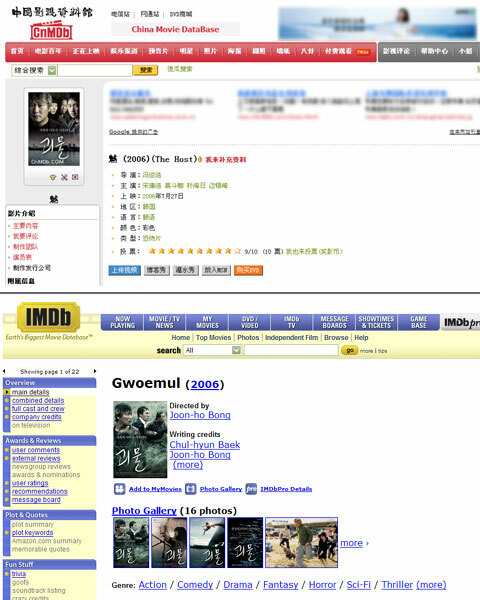 – The clip comes from the Chinese dubbing of a well-known Hollywood movie. 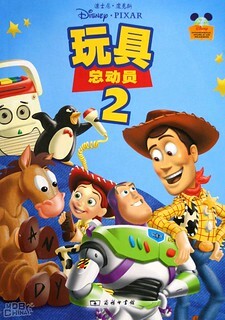 – Based on the Chinese audio, guess what the movie is. – It can be hard to find movies that are dubbed (especially movies that aren’t cartoons or that aren’t really old). 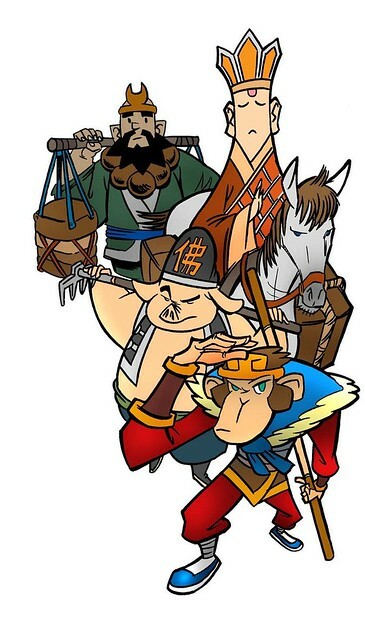 – The Chinese dubbing can fly by at incredible speeds, greatly reducing the chances of recognition even for really familiar scenes. – Some really well-known movies don’t have any memorable lines. – You pretty much have to take what you can get from your own Chinese DVD collection and what’s available in the shops around town.